Happy Friday everyone! Today, I would like to share a very simple project with you all. 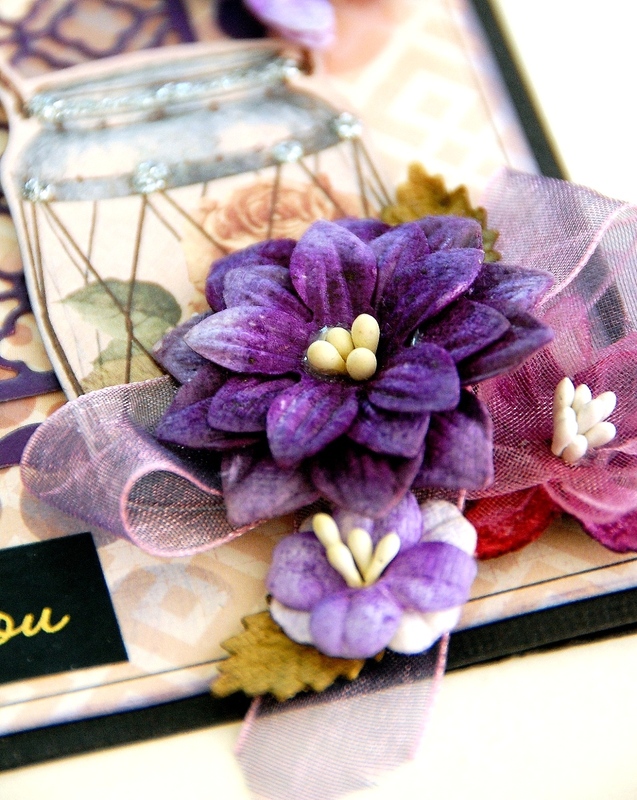 This card features the gorgeous flowers by Petaloo and pattern papers by BoBunny. Below are some close-ups on this card. 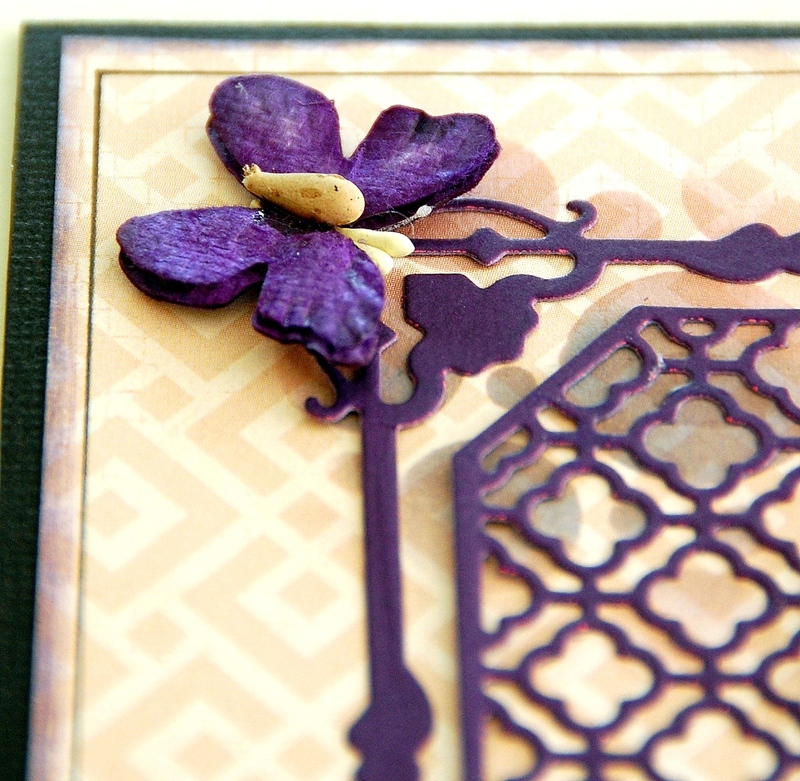 I've used a die-cut to cut out the background design for this card. 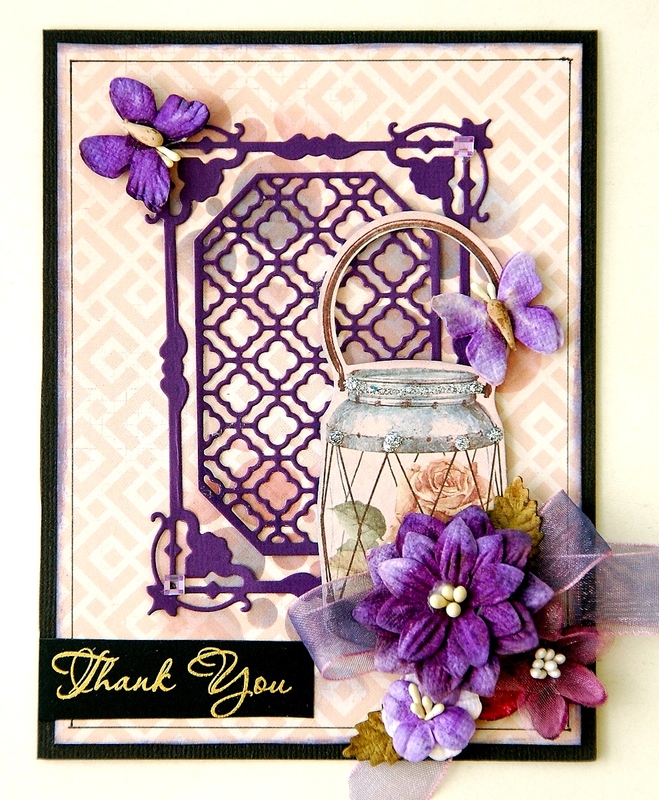 The beautiful flowers by Petaloo adds so much textures and dimension to this card. It creates a romantic feel to it. Thank you for dropping by and see you all again soon! 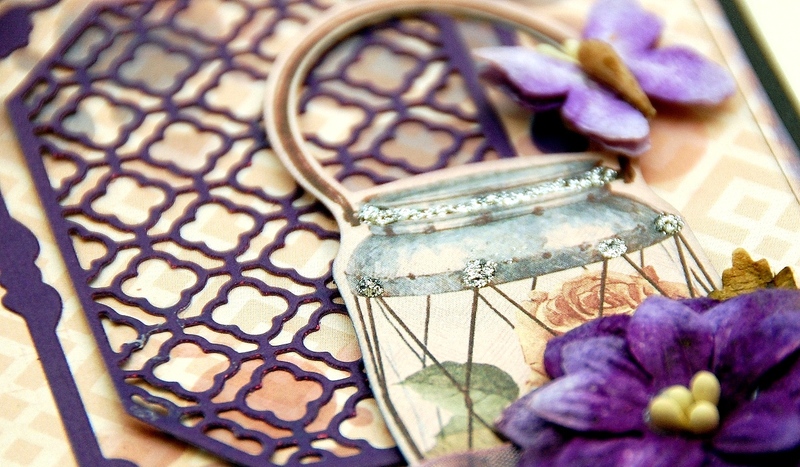 Sources: Cardstock: Core'dinations; Pattern Papers: BoBunny; Inks/Paints: Ranger Inks, BoBunny; Mask/Stencils: BoBunny; Flowers: Petaloo; Others: BoBunny die-cut and rub-on, ribbon, Beacon and other adhesives.